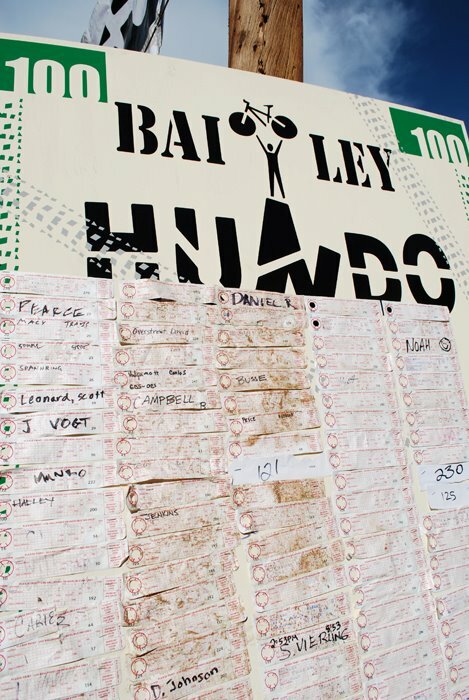 In just its third year, the Bailey Hundo has become a bucket list race for endurance mountain bikers. 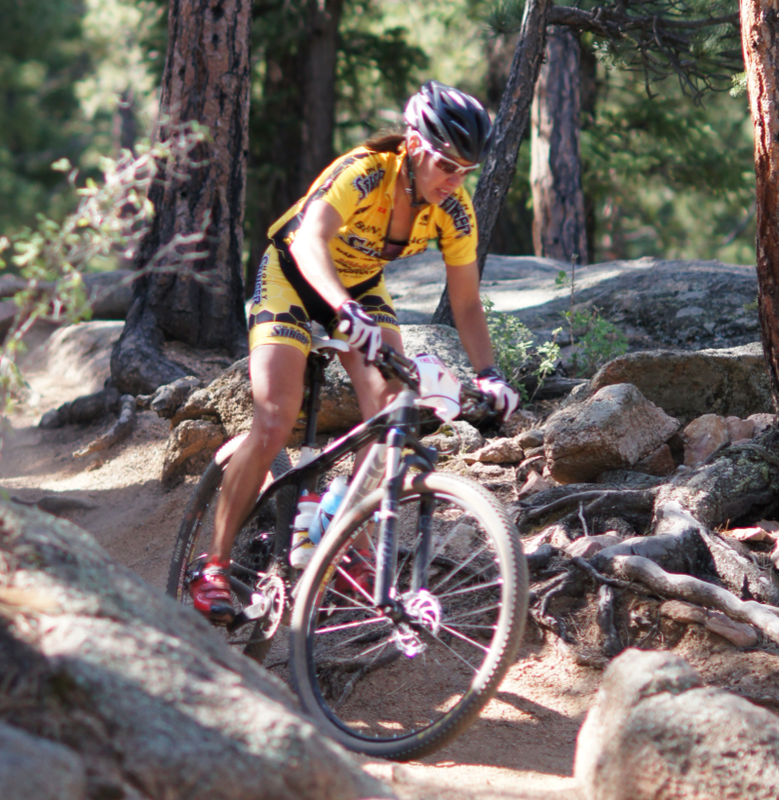 The 100-mile course features 60 miles of terrific singletrack followed by 40 miles of dirt road. Ian has been excited about the race for months, but then he had a work commitment come up and had to…bail. I didn’t think much of it at first but when the race organizer said it would be no problem for us to switch entries, all of a sudden with just over a week before the race, I was in. I typically like a little more time to plan a big race, but in this case maybe it was a good thing because I also had less time to stress about it. 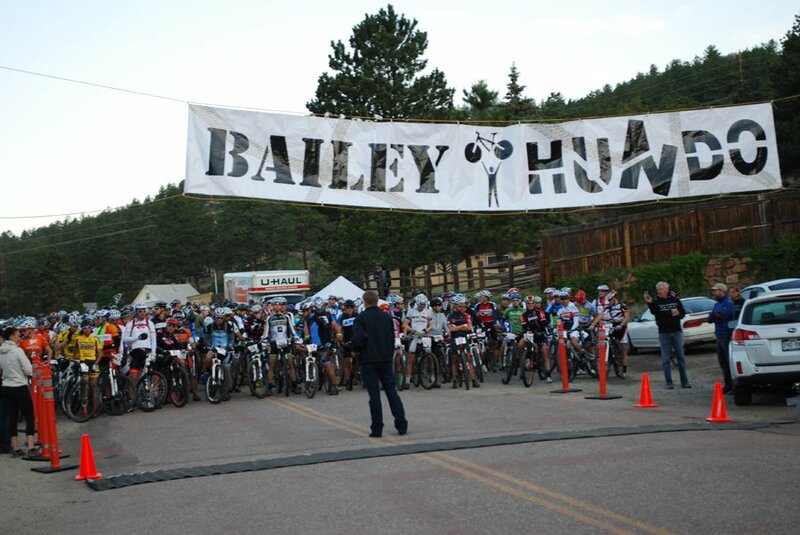 To be honest, I had no idea where Bailey even was before the race (45 miles southwest of Denver). My friend Scott Leonard lined up a great place for me to stay in town with Roger and Deirdre—Bailey locals who treated us like royalty. The race began at 6am with a mass start on main street in town. With 250 riders toeing the line, it was a seven-mile sprint on a dirt road to reach the singletrack. As I’m quickly learning in these Front Range races, there are a lot of fast road riders in the field. My friend Jenny Smith and I fell off the lead pack a bit, but we worked together to claw back and draft off the back. We hit the singletrack and I settled into a rhythm. The riding was sweet and I started picking off some of the riders who seemed a little less comfortable with the twisty trails. I stayed ahead of Jenny and kept my pace up knowing she had the potential to reel me in as the race wore on. The singletrack came to an end after about five hours and I started looking for other riders to team up with for the next 40 miles. I found a couple of fast guys and we worked together to bang out the last few hours of riding. About 15 minutes before the finish, the skies opened up and I got pummeled with rain and then hail. I still have the bruises on my legs to show for it. But, after 7 hours and 32 minutes, I finished with a smile on my face. 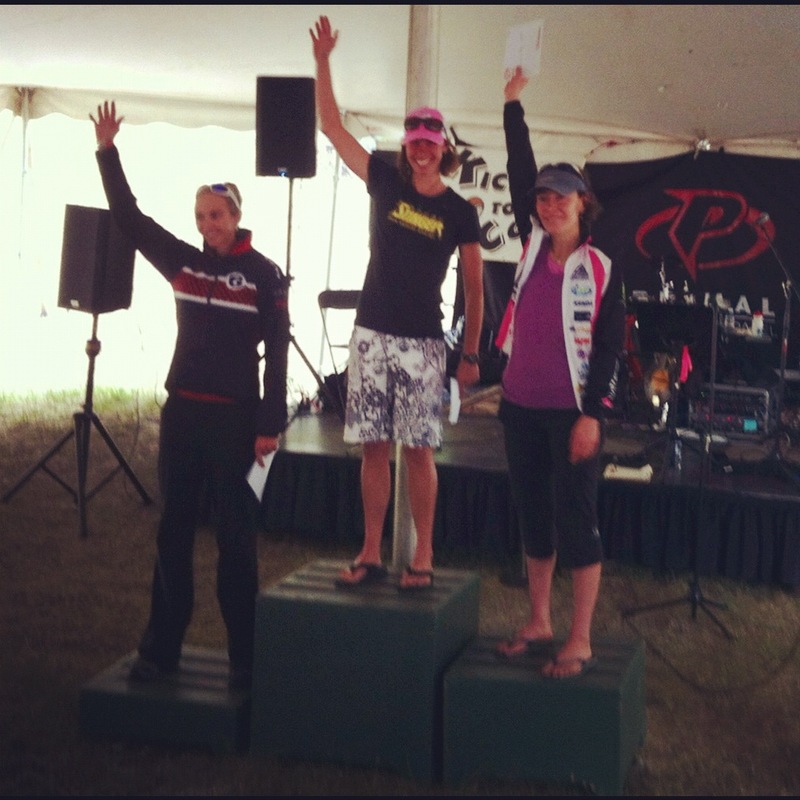 It was a good day for Roaring Fork riders as Scott Leonard finished in an impressive sixth place overall! Special thanks to Ruthann Brown, Michelle Campbell, Rebecca Grosso and Ashley Rankin for their donations, as well as Mark and Donna Macy for passing me bottles and food on course. I could not have done it without my Honey Stinger teammate Jaime Brede giving up some of her Honey Stinger Chew stash to keep me fueled all day long. Thanks all!